When I was visiting family in Australia, relaxed and able to ponder life in the early hours having woken from jet lag I calculated lots of things, it is something I do when I am reflecting on my life. How many years since I went to high school and met my first love (17). How many years I’d spent in my current job (4.5). How many days until my sister was able to drive us to the beach again (2)! And then the one in particular struck me, how long since I had been using the same skincare routine (11 years). Wow! I was surprised by that and it prompted me to consider if I was really happy with what I was using, did it still work, was it addressing any new issues now that I was ageing?! My routine was pretty simple in theory, a cleanser by Rationale used morning and night followed by a special moisturiser made by a compounding chemist only found in Australia. All recommended and prescribed by a top dermatologist in Melbourne. There was also meant to be a sunscreen but that had long gone by the wayside many years ago. 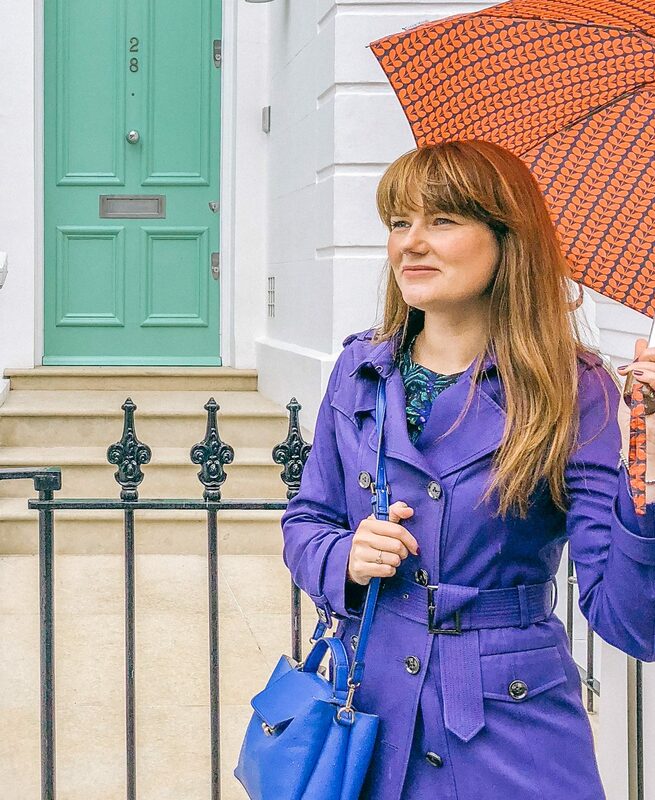 In the last few years I had added additional steps to counter the dryness of the London water including Aesop face masks and the pollution assault resulting in breakouts with antibiotic creams from the doctor. Adding to this the ongoing need to request my mum or sister to organise the moisturiser and send it to London the whole process was now complicated and just not working. I was already planning to purchase more Rational cleanser whilst I was in town and after a quick chat to one of their specialists it was clear I could benefit from a one to one session. Given my flexibility it was easy for me to book in the next day with Katelynn at the Fortitude Valley, Brisbane store. Katelynn took me into one of their treatment rooms and we discussed what I was currently using, issues I was having and future concerns. I always get compliments on my skin and am told I look younger then I am so I am always keen to keep the myth alive! I did get asked for ID in a bar in Byron Bay when I visited having pitched up after a swim barefaced and hair scrapped back! Anyway back to Rationale! As Katelynn and I were chatting she immediately started giving me pointers for the cleanser I was using. I should have really only been using it at night and putting is straight on my skin, not mixing with water as I had been doing. After our chat I got to relax on a treatment table whilst Katelynn gave my skin a mini cleanse so that she could have a closer look see if there were any obvious concerns. Rationale don’t just rely on this though they also get their therapists to conduct a Luminosity Index using a high tech skin camera that takes multiple images of different skin levels. It is similar to the Ella Bache camera if you know that but Rationale’s camera is on steriods. An example of the photos is in the image below, this isn’t me(!) but each picture addresses a different concern like wrinkles, dryness, breakouts and pigmentation. Taking in all of these factors the camera also comes up with an age predictor, causing a few moments of nervousness for Katelynn who sometimes has to deal with unhappy customers. I assured her I was not worried (remember I was asked for ID!) and the computer decided that my skin was a whole decade younger then my real age. RESULT!!! Once we were back in the treatment room Katelynn showed me her recommended products and despite a vast amount to choose from she only advised five in total, two in the morning, another two at night and one exfoliante twice a week. I was surprised by the simplicity of it all and decided to purchase and start my new routine straight away. It is possible to buy travel sizes of the products to reduce the prices but I decided to invest and go the whole hog. It has been eight weeks since I changed my routine and I saw some immediate changes. A lessening of oilyness which I didn’t really think I had but I no longer wake with a layer of oil on my face to wash off in the morning. Redness and marking on my skin now fades quickly and this has meant a reduction in the amount of makeup I wear. I still get a few breakouts but this is starting to settle. 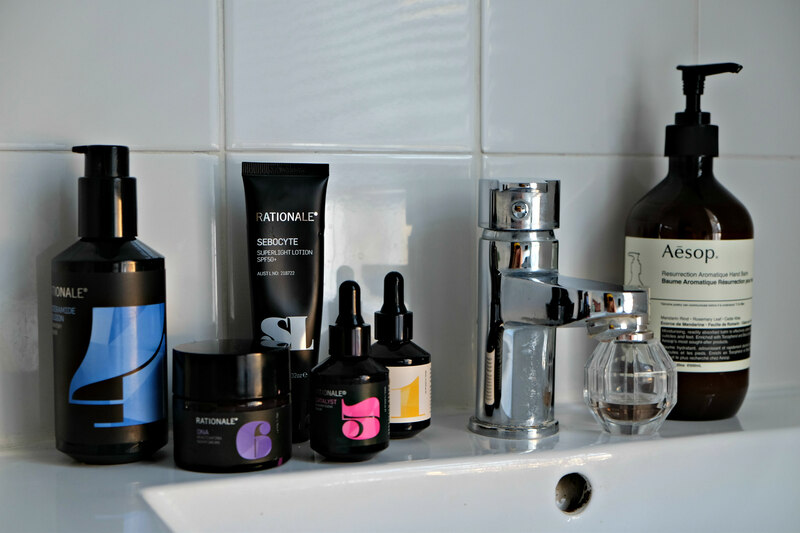 The best bit about the Rationale products are that they mimic the natural process of regeneration of the skin having been developed over a number of years through science and they recently started selling from a UK supplier. All win wins for me! When was the last time you reviewed your skincare regime? Have you spoken to a professional about it? Do you purchase over the counter or prefer to use a skincare specialist?